So, we introduce you to the band Xane and Zen, who's First album we are very proud of. The band is comprised of five members, two Keyboards, one Guitar/Keyboards, Bass and Drums. This Instrumental Anthemic TranceRockDancePop merges a myriad of musical genres and influences, incorporating trance vibes and dance grooves with guitar. In utilizing these different musical genres the feel is of more expansive, experimental landscapes of sound with a commercial edge which stimulates the mind and the senses. As with many of todays bands there is more co operation with band and producers. 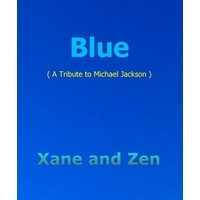 The band produced the Album and the Producers have also been given the opportunity to push their vision of Xane and Zen forward with their own interpretation of the music with the Singles. So, we have the slightly more chilled album tracks and the "vision" of the more commercial, potential aspect of the bands music sitting side by side. We sincerely hope you listen to and like both. The Album and the four single mixes are on iTunes worldwide. Wayne Calcutt, Manager, XANE and ZEN.